Penguins are adapted to live in extreme environments, but they can be highly sensitive to climate change, which disrupts penguin life history strategies when it alters the weather, oceanography and critical habitats. 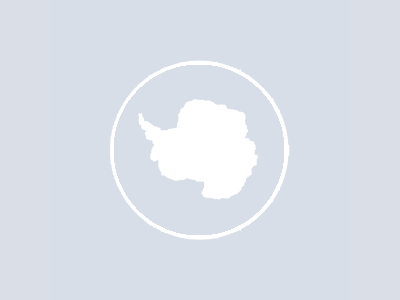 For example, in the southwest Atlantic, the distributional range of the ice-obligate emperor and Adélie penguins has shifted poleward and contracted, while the ice-intolerant gentoo and chinstrap penguins have expanded their range southward. In the Southern Ocean, the El Niño-Southern Oscillation and the Southern Annular Mode are the main modes of climate variability that drive changes in the marine ecosystem, ultimately affecting penguins. The interaction between these modes is complex and changes over time, so that penguin responses to climate change are expected to vary accordingly, complicating our understanding of their future population processes. Penguins have long life spans, which slow microevolution, and which is unlikely to increase their tolerance to rapid warming. Therefore, in order that penguins may continue to exploit their transformed ecological niche and maintain their current distributional ranges, they must possess adequate phenotypic plasticity. However, past species-specific adaptations also constrain potential changes in phenology, and are unlikely to be adaptive for altered climatic conditions. Thus, the paleoecological record suggests that penguins are more likely to respond by dispersal rather than adaptation. Ecosystem changes are potentially most important at the borders of current geographic distributions, where penguins operate at the limits of their tolerance; species with low adaptability, particularly the ice-obligates, may therefore be more affected by their need to disperse in response to climate and may struggle to colonize new habitats. While future sea-ice contraction around Antarctica is likely to continue affecting the ice-obligate penguins, understanding the responses of the ice-intolerant penguins also depends on changes in climate mode periodicities and interactions, which to date remain difficult to reproduce in general circulation models. Authors: Forcada, Jaume, Trathan, Philip N.